It’s a tremendous honor to announce that “Stella Walsh” has been nominated for the Bud Greenspan Award by the Track & Field Writers of America. 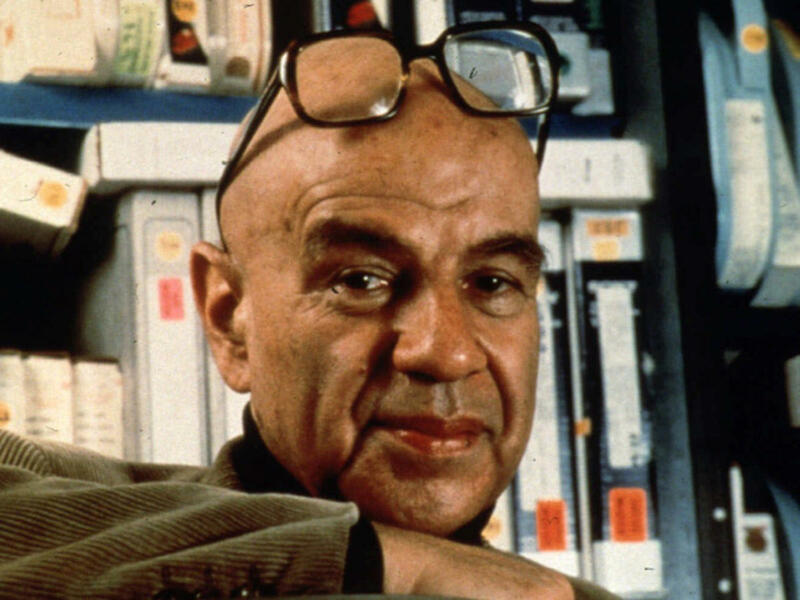 Greenspan was one of the most prominent and celebrated filmmakers to ever write and direct documentaries about Olympic athletes. The award was created in 2010 by his filmmaking partner, Nancy Beffa, just after his death. It is presented each year to the best track and field movie as determined by the T&FWA. This year “Stella” is one of eight movies nominated. The winner will be announced at a special program in New York on February 12 and the award will be presented on February 14 at the Millrose Games, which, coincidentally, was the event where Stella Walsh broke her first World Record in 1930. Thank you to Nancy Beffa, Jack Pfeiffer and Kimberley Spir for considering “Stella Walsh” for this award. I’m very excited to announce that “Stella Walsh: A Documentary” is an official selection for the 2015 Slamdance Film Festival. If you haven’t heard of it, Slamdance is kind of the punk rock little brother/sister of Sundance. It takes place at the same time and location, which will be in January in Park City, UT. Let’s celebrate! I do not have a date or time for the screening yet, but it will be posted as soon as I find out! 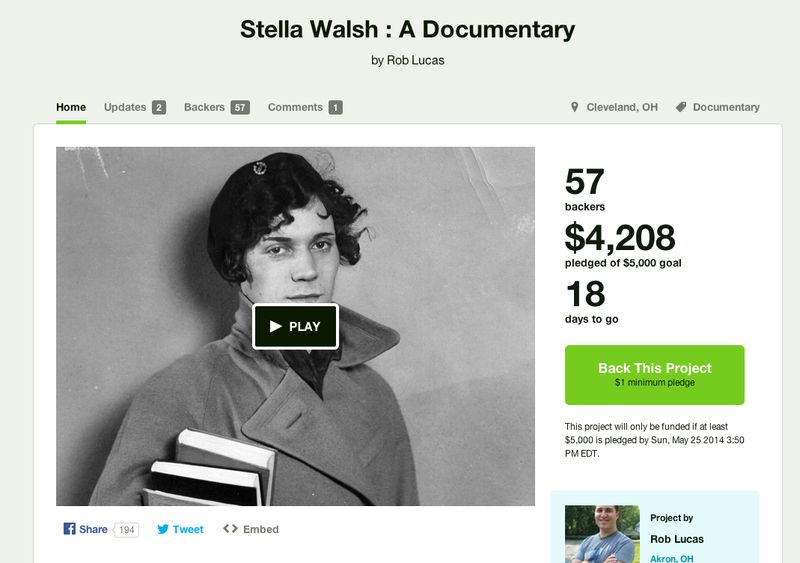 The Stella Walsh Kickstarter campaign has ended and we have reached our goal! 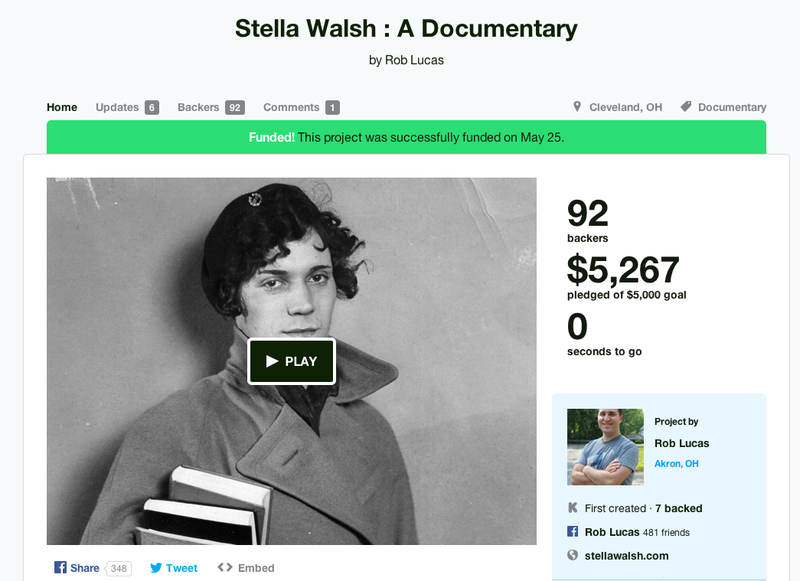 Over a period of 30 days we had 92 backers from around the world contribute to help finish our movie. We are finalizing all of the footage and photo licensing and are in the process of applying to film festivals. If you wish to see Stella Walsh and have not contributed the Kickstarter campaign, then please select “Screenings” from the menu above to view our upcoming schedule. We do not have any further public screenings planned at the moment, but will have a few dates posted soon. Thank you again to all of you for your support!